China's Ministry of Finance announced Friday VAT reductions for rare-disease drugs to lower the cost for patients with rare diseases and encourage development of the pharmaceutical industry. Starting next month, the value-added tax on 21 medicines and four active pharmaceutical ingredients for treating rare diseases will be cut from 16 percent to 3 percent to help reduce costs and ease financial difficulties for patients. Gansu province-based Lanzhou Foci Pharmaceutical Co Ltd is becoming well known the world over for its concentrated pills, a unique type of traditional Chinese medicine or TCM for a range of diseases or conditions like asthma, diabetes, tuberculosis, cataract, hypertension and hepatitis. China's top alcohol brand Kweichow Moutai said Saturday that the company plans to sell about 31,000 tonnes of product in 2019. China has decided to cut tariffs on a range of imported raw materials used in medicines, which industry analysts said signaled the government's heightened efforts to reduce high drug prices and improve people's healthcare. 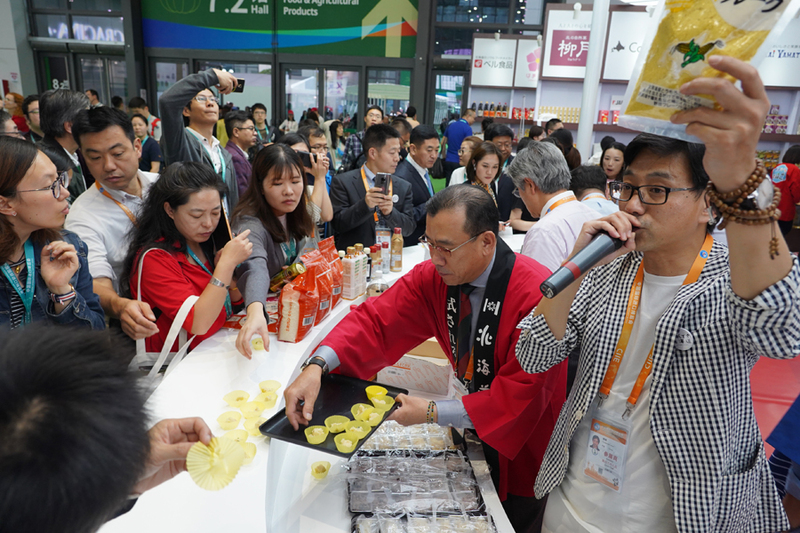 China will see significant growth potential in the consumption of organic milk, yogurt and cheese products, fueled by increasing demand for premium products from quality-conscious consumers, according to a new report. Chinese pharmaceutical companies boosted their exports to the United States at an exhibition in Las Vegas on Thursday and Friday, with an actual transaction of more than $2.3 million. At first glance Jiang Qin's small store in downtown Shanghai seems just like any other hole-in-the-wall, mom-and-pop grocery in China, if a little more cramped and messy. Payment standards for 17 types of anti-cancer drugs newly included in China's healthcare security system, on average, 56.7 percent lower than their retail prices, according to National Healthcare Security Administration Thursday.